Get ready to enjoy that open-air market feeling, right in the heart of the city! 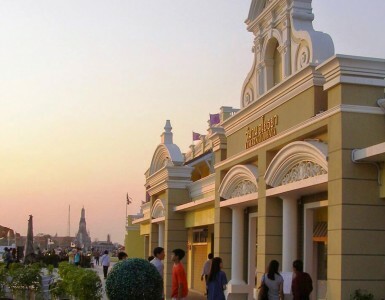 TALAD Neon is the newest shopping destination in the Pratunam area that’s all about the “down-town night market” concept. Designed for easy browsing, the space is decorated with cool colorful neon scenery and a giant hot-pink rhino mascot that are perfect for various selfies and photo-ops! Visitors can browse for refreshing drinks, the latest trendy street eats and all kinds of fashionable accessories and gadgets. Make it a stop to meet with friends after work, or just to stroll around on the weekend. Seasonal activities such as a petting zoo, pop-up carnival and light garden make regular visits to TALAD Neon all the more worth it! 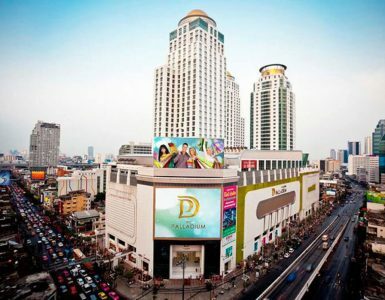 The easiest way from Novotel Bangkok Platinum Pratunam is by foot, simply cross the road and walk to the Palladium Mall. If travelling to TALAD Neon from other points of the city, there are many public transportation options available. Alight from the Pratunam Pier from the Sansaeb canal commuter boats and cross the road. Another option is to walk down from Airport Link Ratchaprarop station. 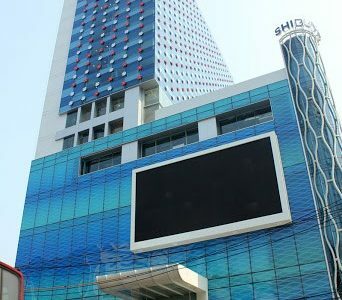 Or, you can come from BTS Chidlom via the Bangkok Skyline (R Walk) and exit on the BigC side, continuing straight until you see Palladium Mall. Outdoor car-parking on-site is also available.